Real estate agents, like any small business owners, are always on the lookout for the best way to stay in touch with their past, current & future clients. And for good reason. With so much competition you have to make your business stand out in a crowd of many. While e-mail marketing can be a great way to keep your Realty business out in front of your clients, it’s not exactly earth shattering. The minute the delete button gets clicked, all memory of your branding gets wiped away. E-mail marketing is king until it’s not. Sending real physical snail mail is a great compliment to email marketing; adding that personal touch that’s lacking in an e-mail. Creating and developing personal relationships with clients is the best way to ensure you and your business stay on top of their minds when your services are needed. Of course we’re talking about customer retention here and the root of all customer retention tactics is the process of nourishing an already existent relationship. There are few things as personal nowadays as snail mail. But who has the time?! Postable’s business tools make sending personalized mail as easy as sending an email. Sign up for your free business account now or checkout these 6 Postable business tools. Need some ideas on how other’s are staying ahead of the game? Here are 7 print marketing use-cases to make your real estate business stand out. You made a sale! Congrats. You’ve worked real hard to help your clients find their dream home. You’ve probably spent a great deal of time with your customers and have already built a foundation on which now you can grow your business client relationship. Up until now their experience has hopefully been amazing, why not seal the deal with a personal final touch. Send them a thank you note for choosing you. Leave your clients with a good feeling about the whole experience. Ok, so it’s been a while since your last interaction and you’ve concluded your business. This doesn’t mean you should leave that customer in the past. Home purchase anniversaries are great opportunities to spark a past customer relationship back to life. It’s likely that they’ll need your services again in the future or perhaps will know someone who might. 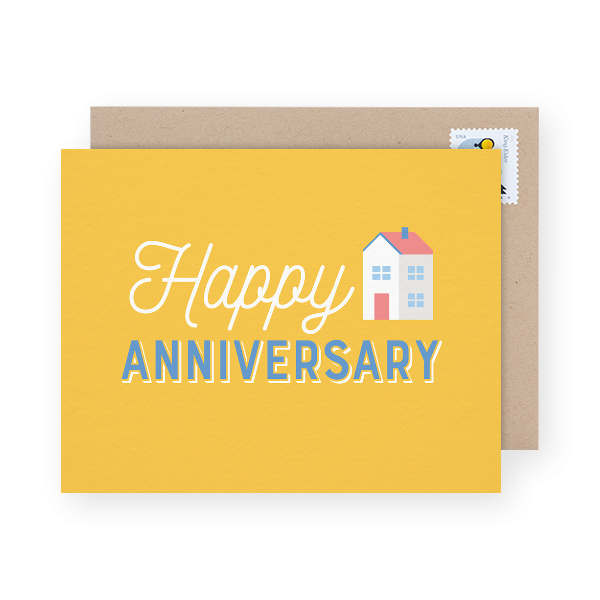 Help your past clients celebrate their home anniversary with a thoughtful card. This is a great opportunity to remind your customers of the great work you did for them. They’ll appreciate the personal message and you’ll once again be atop of their minds when one of their friends asks them for Realty recommendation. If you’re going to be strapped for time during the holidays, you can always schedule your holiday cards in advance. Easy peasy. Birthday cards are a no brainer. You want your clients to keep you at the forefront of their thoughts all year round so this is a great opportunity to touch base. Another excuse to touch base with your clients and remind them how much thought you put into everything that you do. Sending birthday cards to your clients is also a simple way to make your clients feel special and after all is said and done — this is really what we’re all after. Perhaps you haven’t quite sealed the deal and you have some potential clients waiting to make a commitment to you and your services. 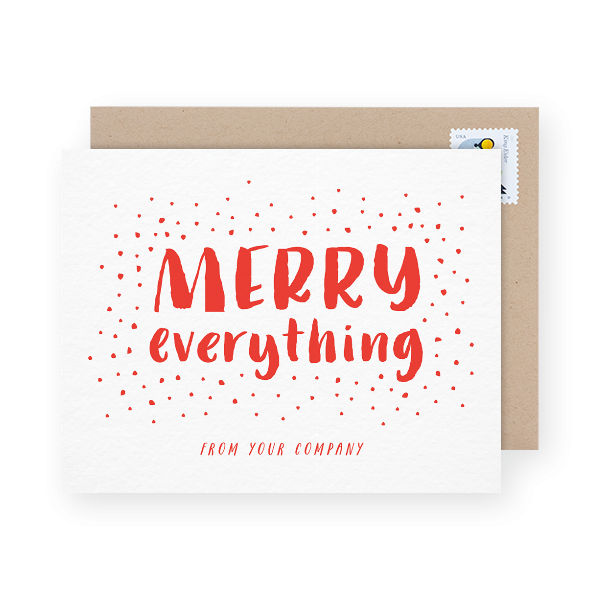 Why not send a personal branded thank you card to show them that you will always place a great deal of personal attention to your dealings with them. Everyone has about a million things going on in their lives — it’s very easy to lose track and forget about a business or a service no matter how good it seemed at the time. 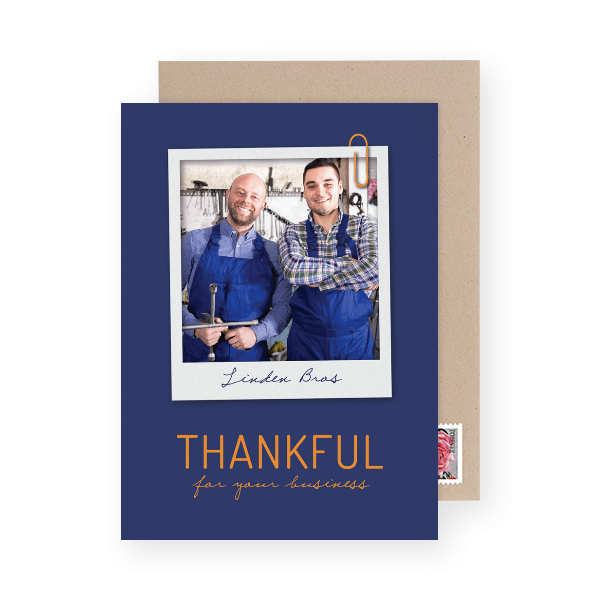 Sending a follow up thank you card simply gives your potential clients a little nudge and serves as a reminder to move forward. Hosting an open house or a holiday party? 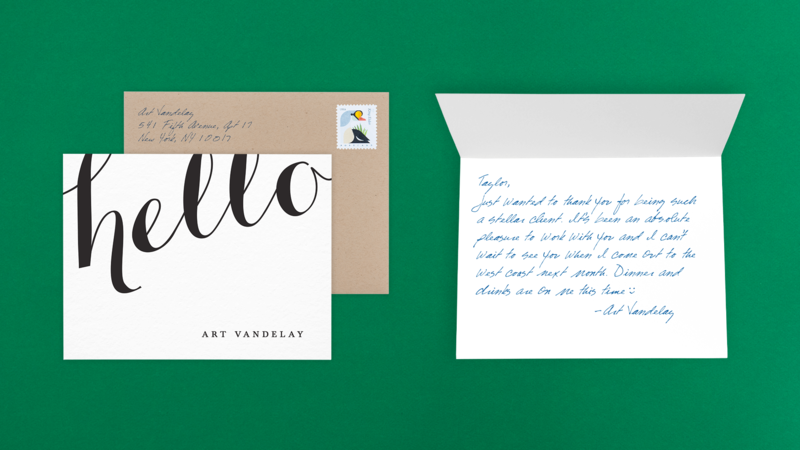 Whatever the event, consider using real paper invites in lieu of email invites. It’s much easier to delete an email than a nice paper invite you’re holding in your hand. Word of mouth is great, but reaching out to potential new clients directly with a nice personal message is a great way to connect and introduce yourself and your brand. Sending out a logo card letting a community know of your track record selling homes in their neighborhood and offering your services can be a great way to get attention. Keep the messaging clean and simple to let you record (and brand) speak for itself. Mail these out in preparation for an upcoming event and follow the branded cards up with your event invites to really seal the deal. Ready to make some personal connections happen? Sign up for your free business account now.